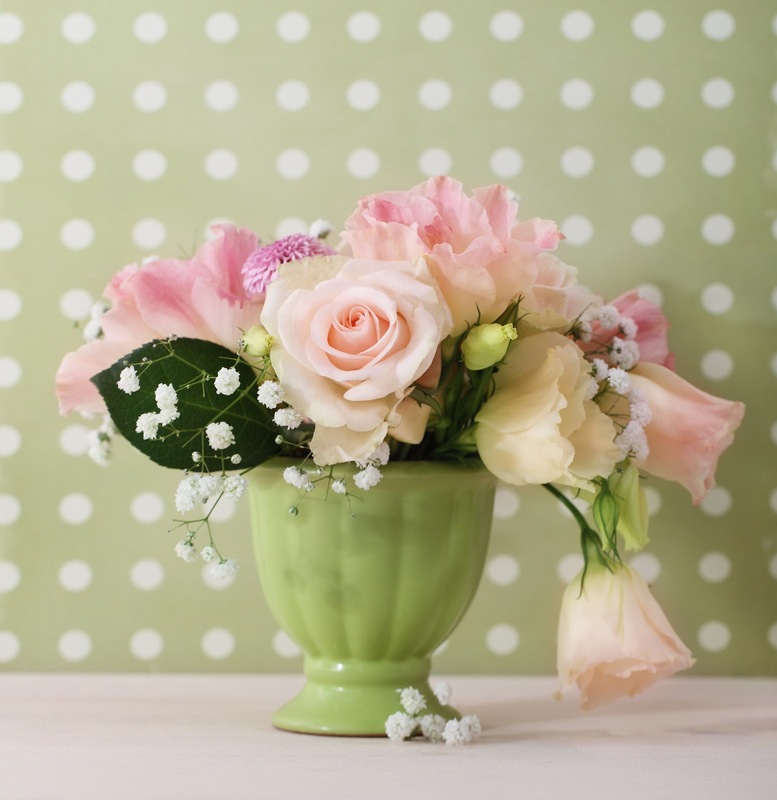 As winter lingers on, there's no better way to brighten up your space than with cheery flowers. And who says you have to spend buckets of money on expensive arrangements when you can DIY. I'm a big fan of grocery store flowers. I'm known to grab a few bouquets and take them apart, mixing and matching colors and types of blooms, and scattering them around in various containers. And who's to say you are just limited to boring old vases? If a container holds water, it can work as a vase....in my humble opinion. This is why you'll see me using anything from a vintage Ironstone pitcher to a delicate teacup or re-purposed bottle or jar to show off my blossoms. I was inspired by Vintage Romance Style to turn a Dollar General glass votive holder into something Kate Spade might put her name on. Isn't this adorable? The glass container will run you a whopping $2 and a paint pen or tube of acrylic paint might be another dollar or two. Or if you're like me, you may already have this stuff lying around. 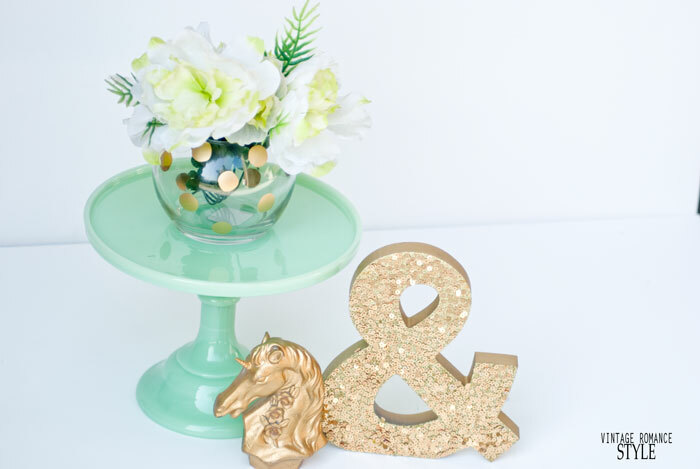 So go to town shopping your supplies and make something like this to showcase a few pretty stems. While you are scrounging around for things you already have, keep an eye out for a straw place mat or cork trivet. 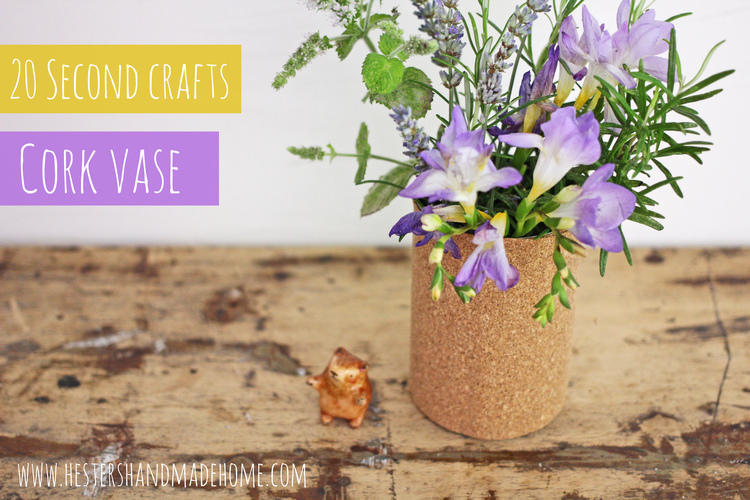 These can be used to give new life to a plain old can or vase. Hester's Handmade Home inspired me to try something like this, and what a cute blog it is for all sorts of ideas and projects. 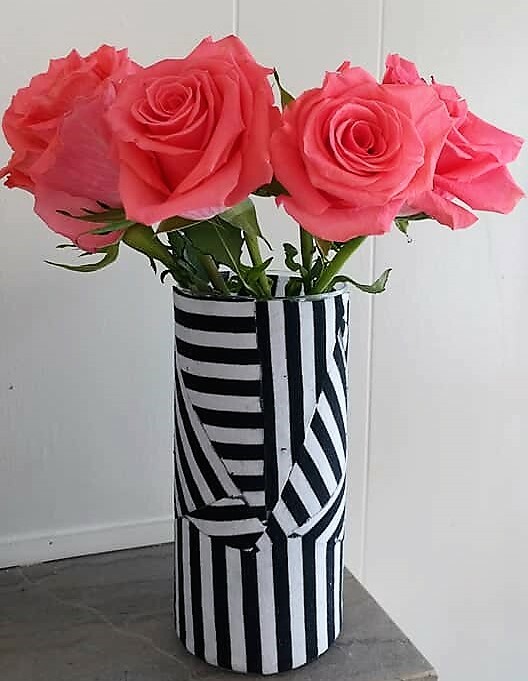 I snagged a few mismatched place mats at my local Goodwill that were perfect for wrapping around a tall glass cylinder vase. This is great for flowers with long stems that need more support in an arrangement. Finally, I turned an old t-shirt into something a bit more stylish. For a few bucks, I found a cute black and white striped tee at Goodwill. Then I cut it into random triangles and used homemade Mod Podge to adhere it to a clear vase from my stash. Full disclosure, this was inspired by an old issue of Better Homes & Gardens I had been saving, but I'm pretty happy with how it turned out. 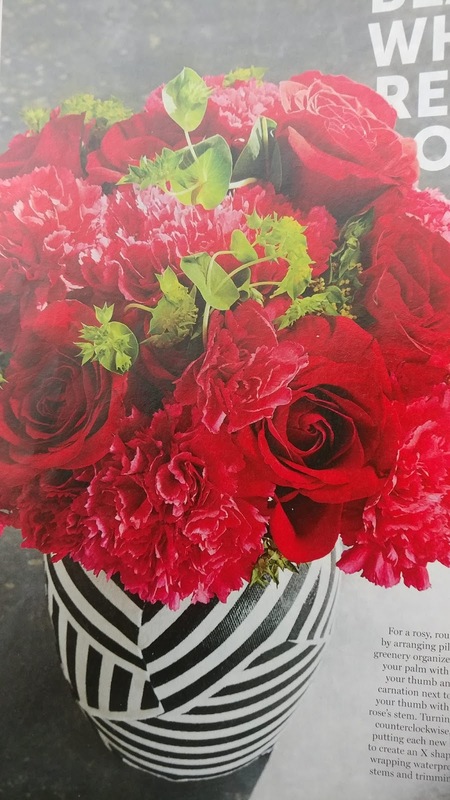 I hope these ideas inspire you to give your next grocery store flowers a little something extra with the containers and arranging. It's all about the presentation y'all....happy blooms!